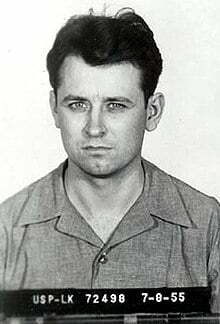 Propaganda, Disinformation and Dirty Tricks: James Earl Ray Was Innocent of the Assassination of Martin Luther King, Jr. 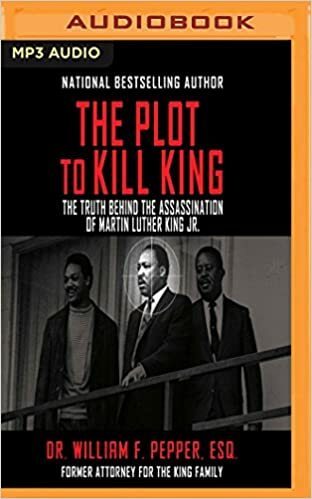 The Myth of “Lone Assassin” Political Murders: MLK’s was just Another one of Many Conspiratorial Crimes (and Cover-ups) of the 20th Century. “There is abundant evidence of a major high-level conspiracy in the assassination of my husband, Martin Luther King, Jr. And the civil court’s unanimous verdict has validated our belief.” — Mrs. Coretta Scott King (December 8, 1999), as she heard the jury trial verdict that followed a month of sworn testimony from over 70 witnesses in a widely un-reported civil trial in Memphis, Tennessee. The trial was shamefully boycotted by EVERY mainstream media outlet that you can think of, including the New York Times. 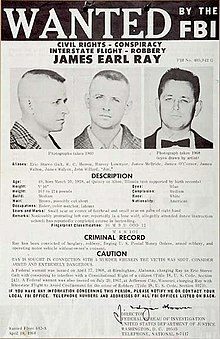 The 12-person jury verdict unanimous exonerated the “patsy” James Earl Ray for any role in the assassination of MLK. The verdict did convict Loyd Jowers and “other parties known and unknown” for their parts in the vast US government conspiracy to assassinate King. The evidence brought forth by attorney William Pepper was so powerful, thorough and convincing that the jury only needed to deliberate for 59 minutes. 3) A 2-hour interview from No Lies Radio (May 21, 2016), discussing political assassinations (and their cover-ups), with emphasis on the three most important political assassinations of the 1960s (JFK, MLK and RFK, each of which eliminated the voices of heroic leaders that were economic, political and/or theological progressives, peacemakers and reformers who were also threats to America’s conservative, militaristic, pro-corporate, war-profiteering, imperialistic, Deep State ruling elites). The panel on the No Lies Radio show consisted of the following 3 experts who have thoroughly researched and written about the 3 assassinations. 1) William Pepper has legally represented James Earl Ray and also Sirhan Sirhan, the also falsely accused “lone assassin” of RFK. (Recall that the gunshots that killed RFK entered the back of his head, whereas Sirhan was positioned in front of RFK). Pepper is also an expert on 9/11, including the Deep State conspiracy and cover-up of the proven controlled demolitions of the three World Trade Center towers on 0/11/01. His website can be found by googling williampepper.org. 2) Russ Baker is an investigative journalist who wrote Family of Secrets: The Bush Dynasty and America’s Invisible Government (whose central theme is the Kennedy assassination conspiracy). Baker’s website is at www.whowhatwhy.org. 3) Andrew Krieg, director of the Justice Integrity Project, wrote Presidential Puppetry: Obama, Romney and Their Masters and has written shorter works about both the JFK and RFK assassinations. Krieg’s website is at http://www.justice-integrity.org/. It doesn’t take any deep reading of the information in this article to come to the embarrassing conclusion that most of us naïve, trusting Americans have been bamboozled into tolerating, for far too long, “evil-doers in high places” just like the obedient “Good Germans” did prior to Germany’s takeover by the war-mongering, imperialist, racist, misogynist, tyrannical, anti-democratic, militaristic, right-wing Nazi Party. To see if there are connections between the politics of Nazi Germany and our current political situation if America today or during the MLK era, one only has to ask any knowledgeable member of this list of oppressed American groups: native Americans, African Americans, suffragettes, women’s rights, non-Caucasians, non-Christians, non-English speaking immigrants or anybody in the GLBTQ community. Just examining the partial list of “evil-doers in high places” in this article will remind readers of some of the Deep Stare entities that have cunningly and secretly orchestrated the marginalization, demonization, silencing, disappearances, “suicidings” or psychological or physical assassinations of America’s most altruistic, progressive and peace-making leaders, not to mention the ongoing oppression of the world’s most discriminated-against people whose futures – or lack thereof – have depended on those leaders.